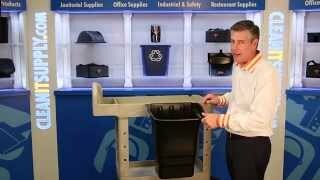 Easy-to-integrate refuse/utility bin enhances your ability to multitask with your cart. Convenient side grip handles simplify empting tasks. Smooth surfaces help streamline post-use cleaning. Designed specifically for Rubbermaid Commercial HD, General Utility and TradeMaster carts as well as StockMate trucks. 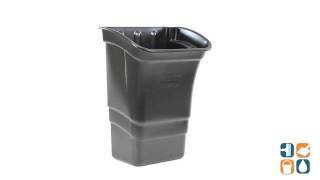 Waste Receptacle Type: Open Top; Material(s): Polyethylene; Application: General Waste; Storage.